In late 2016, shortly after Anthony Levandowski -- portrayed in court proceedings as Google’s star engineer in self-driving technology -- was hired away by Uber, he sent Uber’s then-CEO Travis Kalanick a series of text messages that would later come back to haunt the company. Another text linked to a YouTube clip from the film Wall Street, when Michael Douglas’ character Gordon Gekko gives his infamous “Greed is good” speech. The embarrassing text messages were made public earlier this year in a civil court case pitting Waymo, Google’s self-driving car startup, against Uber over the hiring of Levandowski. The case centered on whether Uber had stolen Waymo’s trade secrets regarding self-driving technology, but it also offered an inside look at Uber’s competitive bid to unleash the new technology on the roads. Uber and Waymo battled bitterly in civil court over Levandowski’s role in developing autonomous technology before they reached a settlement earlier this year. 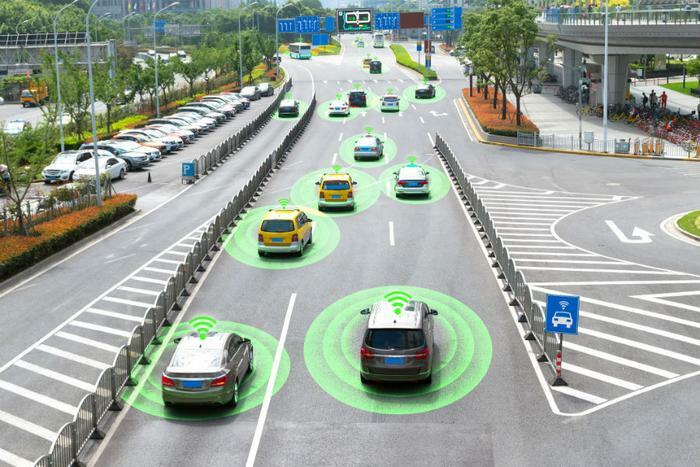 But when it comes to proposed federal legislation that would quickly expand autonomous vehicle testing, the two tech forces are in lock-step. Uber and Waymo recently sent a joint letter to Congress urging lawmakers to pass the AV Start Act, legislation that would give the autonomous vehicle industry an unhealthy amount of freedom with limited oversight, consumer advocates and some lawmakers charge. “On behalf of Waymo and Uber Technologies...we encourage the Senate to quickly consider and pass S. 1885, the AV Start Act,” says a letter the companies sent to Congress on March 16, two days before Elaine Hezburg was killed by a semi-autonomous Uber getting tested in Tempe, Arizona as she walked her bike across the street. Uber’s self-driving testing there has since been suspended by the governor, and the supplier of Uber’s self-driving technology, Nvidia, followed by saying that it would put the program on hold nationwide. Toyota followed suit, explaining it wanted to give staff operating their self-driving test cars time to “emotionally process” the accident. Even so, the tech and automotive industries are continuing to push Congress to quickly pass the AV Start Act. The law as it’s written would allow for more self-driving cars on U.S. roads, explains Scott Hall, the spokesman for the Automobile Manufacturers of America, which has been lobbying to get passage of the bill expedited. The automobile industry, which has invested billions in self-driving technology, has joined tech start-ups like Tesla, Uber, and Waymo to throw their support behind the AV Start Act. They’ve also garnered support from the American Motorcyclists Association and the National Federation for the Blind by pointing out the life-saving possibilities that the technology could bring. But a coalition of consumer advocacy and safety groups, along with groups representing the disabled and cyclists, are pushing back. They say that the bill must be significantly reworked before its passage. The safety groups point out that the automobile industry hasn’t necessarily been investing in quality or safety even as it invests in new technology. “In 2016, over 53 million cars were subject to a government recall, the highest number in our nation’s history, because market forces failed to put public safety ahead of financial interest,” says a letter signed by representatives from two dozen advocacy groups, including former National Highway Traffic Safety Administration (NHTSA) secretary Joan Claybrook (now an advocate with the the group Public Citizen). Currently, NHTSA only addresses self-driving technology with voluntary guidelines, not rules. In the absence of federal regulations, some states have since enacted their own. California has gone with a stricter approach than others, requiring companies to register autonomous test vehicles with the DMV and report all crashes and disengagements, or the industry term for when a human tester must take over the wheel. Arizona, however, did not make such requirements of testers, which is partly why Uber decided to bring its program there. According to advocates, the broad language of the AV Start Act could potentially weaken the state regulations that do exist. In particular, the bill would exempt autonomous cars from Federal Motor Vehicle Safety Standards, longtime laws that require automakers to report potential safety defects in their cars, among other measures. Companies testing autonomous cars counter that regulations for conventional cars simply don’t apply to the new technology. General Motors, for instance, in a recent request to test a car without a steering wheel describes federal safety standards as “unnecessary roadblocks to new safety technology.” After all, federal laws requiring airbags to be placed in the steering wheel wouldn’t make sense in a vehicle without one. But the consumer safety groups say that exempting autonomous cars from long-standing rules could incentivize them to cut corners on basic safety issues. "They wouldn't even have to report it to NHTSA if they knew that their vehicle is causing problems and that it has defects,” Rosemary Shahan, director of Sacramento advocacy group Consumers for Auto Reliability and Safety (CARS), tells ConsumerAffairs. What’s more, the federal bill would preempt state laws currently regulating self-driving cars, rendering rules in places like California as meaningless. The automotive industry says this is necessary so that they can abide by one set of guidelines, rather than a confusing patchwork of state laws. But advocates describe another unintended consequence: such a move could allow autonomous vehicle companies to escape liability or, specifically, state “Lemon Laws” that currently apply to old-fashioned cars. Currently, car manufacturers and dealerships often require consumers to agree to forced arbitration when they purchase a vehicle, meaning that the consumer can’t sue in a public court if they purchased a defective car. But Federal Trade Commission rules and so-called “Lemon Laws” in numerous states allow consumers to appeal, in a public court, if they lose in the arbitration process. The laws were specifically created to protect consumers stuck with a “lemon” who might be facing the biases of a company-funded arbitrator. Shahan, with CARS, notes public court cases have shined the light on widespread defects in cars, such as the faulty ignition switch issue that claimed lives and cost General Motors millions of dollars. Arbitration, on the other hand, is “a secret process. You may not even get any discovery. How can you even prove what happened if you did not get any discovery?”Shahan asks. The AV Start Act, as it's written, doesn't address state Lemon Laws or arbitration specifically. But as it stands, carmakers investing in Artificial Intelligence such as General Motors and Ford Motor Company, as well as tech startups like Uber, have a history of trying to use forced arbitration clauses to their advantage. Currently, a group of women who say that they were raped by their drivers are fighting to sue Uber. The rideshare giant has countered that the case should be tossed because Uber customers agree to arbitration when they create an account. “Arbitration is the appropriate venue for this case because it allows the plaintiffs to publicly speak out as much as they want and have control over their individual privacy at the same time,” Uber told Bloomberg News last week. Uber’s press team has not returned an inquiry from Consumer Affairs asking whether it plans to also subject consumers or testers in self-driving cars to forced arbitration. Ten Democratic senators, some of whom had already expressed reservations about the self-driving car industry, responded to the consumer groups’ concerns with a letter demanding answers on how the arbitration issue would be handled in the event that someone is injured or killed due to a potential defect in autonomous technology. Hall, the automobile industry spokesman, says he does not have a response to that question or the senators’ letter. "I don't have a quote for you on that,” he tells ConsumerAffairs. He adds, however, that his coalition of AV Start Act supporters does not want any changes to the proposed law. “In terms of the legislation, we support it as written,” he says. According to Hall, “what [the AV Start Act] mostly does, is it provides clarity on jurisdictions,” he says, or “which government entities can oversee the deployment of autonomous vehicles." According to the industry, autonomous cars currently getting tested should be treated no differently than conventional vehicles. The rules that apply to them “apply to all cars on the road,” Hall says. The argument that self-driving cars currently getting tested are no different than conventional cars, and should be treated as such, is a familiar one. Tesla, for instance, has typically downplayed the capability of its Autopilot feature, especially after car accidents in which some car owners were killed while using it. Faced with lawsuits and government investigations about such deaths, Tesla has countered that its technology is a driver-assist system and that owners must be ready to take the wheel at any time. When Uber originally left California for Arizona, it was partly to launch a public protest against California’s rules regarding self-driving cars. Uber argued at the time that it shouldn’t have to abide by California’s self-driving car regulations because the human tester in the driver’s seat made it no different than a conventional car. Whether self-driving test cars with human testers inside are really no different than conventional cars is far from settled, however. In Phoenix, an unnamed company testing self-driving technology published a job posting through a third party recruiter yesterday. The post, which has since been taken down, offers $20 an hour to interested contractors to work as testers.